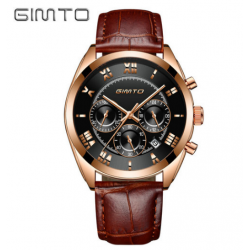 Style: Business, Casual Brand: GIMTO Gender: Men Movement: Japanese Quartz Dial Display: Analog Function: Water Resistant, Auto Date Watch Band Material: Stainless Steel Dial Window Material: Glass Case Shape: Round Case Material: AlloySize:(Approximate)Dial Diameter: 40 mmBand Width: 21 mmBan.. 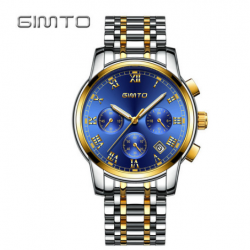 Style: Business, Casual Brand: GIMTO Gender: Men Movement: Japanese Quartz Dial Display: Analog Function: Water Resistant, Auto Date Watch Band Material: Stainless Steel Dial Window Material: Glass Case Shape: Round Case Material: AlloySize:(Approximate)Dial Diameter: 40 mmBand Width: 20 mmBan.. 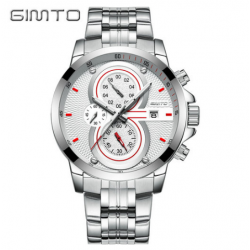 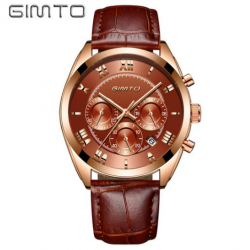 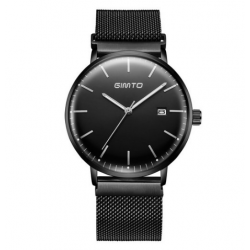 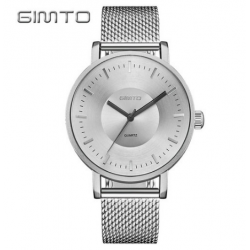 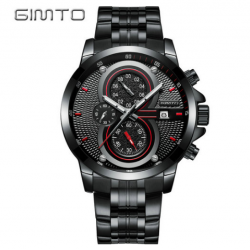 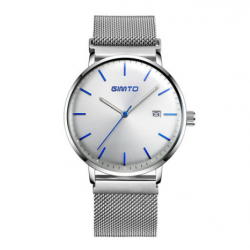 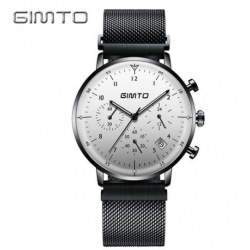 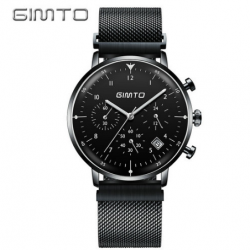 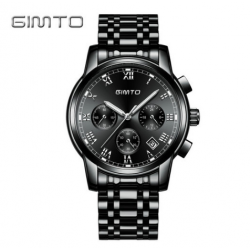 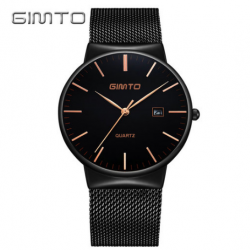 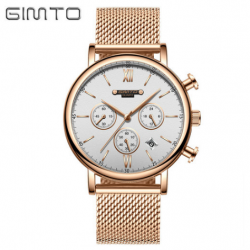 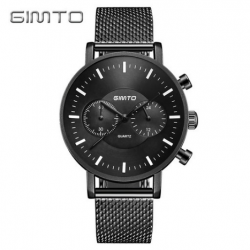 Style: Business, Casual Brand: GIMTO Gender: Men Movement: Japanese Quartz Dial Display: Analog Function: Water ResistantSize:(Approximate)Dial Diameter: 40 mmBand Width: 20 mmBand Length: 240 mmCase Thickness: 8 mmWeight: 85g/ PCS..
style: business, leisure brand: Jintuo GIMTO gender: men's movement: quartz (Japan) display mode: long and short pointer function: automatic date strap material: PU table mirror material: glass surface shape : Round Case Material: AlloyDimensions: (approximate) Case diameter: 44 mm S.. 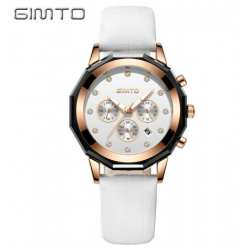 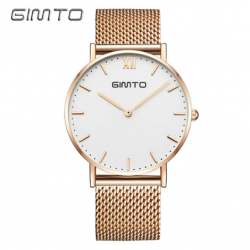 Style: Casual Brand: GIMTO Gender: Women Movement: Quartz Dial Display: Analog Function: Water Resistant Watch Band Material: Stainless Steel Dial Window Material: Glass Case Shape: Round Case Material: AlloySize:(Approximate)Dial Diameter: 42 mmBand Width: 20 mmBand Length: 250 mmCase Thickne.. 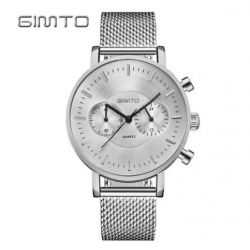 Style: Casual, Sport Brand: GIMTO Gender: Men Movement: Japanese Quartz Dial Display: Analog Function: Water Resistant Watch Band Material: Stainless Steel Dial Window Material: Glass Case Shape: Round Case Material: AlloySize:(Approximate)Dial Diameter: 42 mmBand Width: 20 mmBand Length: 250 ..
style: business, leisure brand: Jintuo GIMTO gender: men's movement: quartz (Japan) display mode: long and short pointer function: waterproof, chronograph, automatic date strap material: stainless steel watch Mirror material: glass surface shape: round case material: alloyDimensions: (approxim.. 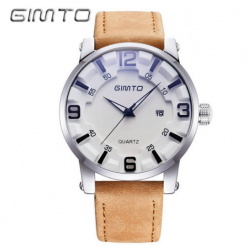 Style: Casual Brand: GIMTO Gender: Women Movement: Japanese Quartz Dial Display: Analog Function: Water Resistant, Auto Date Watch Band Material: Stainless Steel Dial Window Material: Glass Case Shape: Round Case Material: AlloySize:(Approximate)Dial Diameter: 40 mmBand Width: 20 mmBand L.. 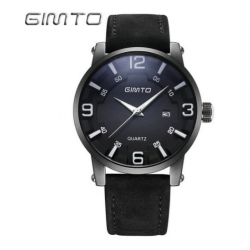 Style: Casual Brand: GIMTO Gender: Men Movement: Japanese Dial Display: Analog Function: Water Resistant, Auto Date, Stop Watch Watch Band Material: Stainless Steel Dial Window Material: Glass Case Shape: Round Case Material: AlloySize:(Approximate)Dial Diameter: 43 mmBand Width: 22 mmBan.. 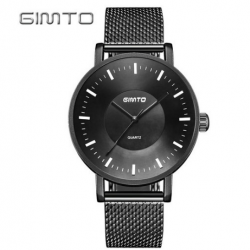 Style: Business Brand: GIMTO Gender: Men Movement: Japanese Quartz Dial Display: Analog Function: Water Resistant, Auto Date, Stop Watch Watch Band Material: PU Dial Window Material: Glass Case Shape: Round Case Material: AlloySize:(Approximate)Dial Diameter: 42 mmBand Width: 20 mmBand Length:.. 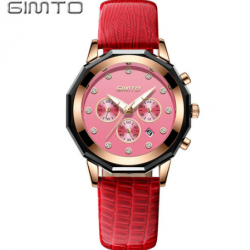 Style: Business Brand: GIMTO Gender: Women Movement: Japanese Quartz Dial Display: Analog Function: Water Resistant, Auto Date, Stop Watch Watch Band Material: PU Dial Window Material: Glass Case Shape: RoundCase Material: AlloySize:(Approximate)Dial Diameter: 41 mmBand Width: 20 mmBand Length.. 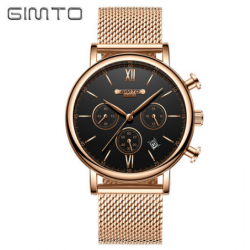 Style: Casual Brand: GIMTO Gender: Men Movement: Japanese Quartz Dial Display: Analog Function: Water Resistant, Auto Date, Stop Watch Watch Band Material: Stainless Steel Dial Window Material: Glass Case Shape: Round Case Material: AlloySize:(Approximate)Dial Diameter: 46 mmBand Width: 22 mmB..